FranVest Management, creator of the proprietary “Managed Franchise Direct EB-5 Investment Program”, has successfully submitted their first group of I-526 filings for its large group of Immigrant Candidates. FranVest’s Managed Franchise Direct Model is the only EB-5 model of its kind and was created with assistance from top Immigration, Securities and FTC attorneys. FranVest’s Proprietary Managed Direct Investment EB-5 program gives the immigrant investor candidate 100% ownership of the business. Global Business Director Peter Sorensen explained how FranVest is different from other EB-5 based investment models such as Regional Centers. “….What makes our program unique is that we help the immigrant candidate run their business. This is our Unique Value Proposition since most Franchise systems are reluctant to allow foreign ownership of a franchise unit because of the higher failure rates of foreign owned franchises….” Peter continued by saying “…We mitigate their risk by providing a US based management team with over 100 years combined experience in the Franchise industry plus we only make money when the business profits. No one else can offer what we offer to our immigrant business owners. We are changing lives, creating real jobs on main street while helping our clients achieve their American Dream of Permanent Residency in the USA. 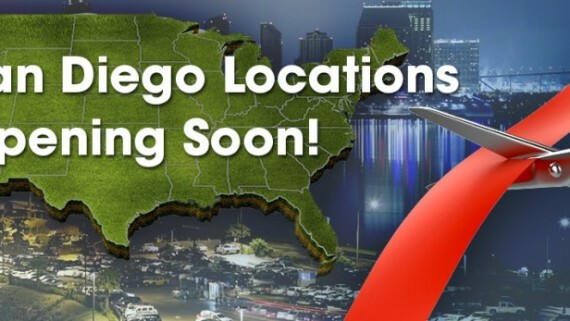 The first set of investors are being placed in FranVest’s first franchise offering Fantastic Sams, (www.FantasticSams.com) with intial locations breaking ground now in San Diego, CA and Wilmington, NC. Each investor for their $500,000 investment become 100% owner of 3 franchise locations with each location creating between 8 and 10 full time jobs. Investors truly appreciate the fact that their investment super exceeds the required number of jobs (10) required by the USCIS. Fantastic Sam’s is just one of several franchise offerings within FranVest’s portfolio. FranVest Management is America’s only complete EB-5 franchise investment and management solution. The EB-5 Immigration Program is a complicated, bureaucratic, and highly-regulated process that is difficult to manage. However, with the right organization on your side, the benefits can far outweigh the risks. Our team of franchise and financial professionals has the knowledge, the experience, and the technology needed to successfully navigate this complicated program.